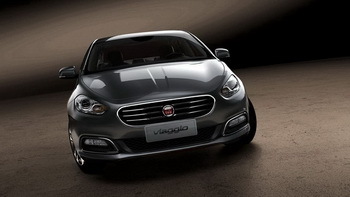 The 12th Beijing International Auto Show this week marks a key milestone in Fiat’s newest attempt to enter the Chinese market, as it sets the stage for the world premiere of the vital new Viaggio sedan, along with the presentation of other models from its range. GAC Fiat (GAC being the acronym for Guangzhou Automobile Company), Fiat’s latest Chinese domestic partner, is showing off the Fiat 500 by Gucci and 500C on its stand, which will arrive CBU in very limited numbers, as well as the Fiat Freemont minivan. Most attention will, however, be focused on the Viaggio (its Chinese name Fei Xiang meaning flying), which will drive Fiat’s latest challenge to catch up in the world’s biggest car market. Thanks to Fiat-Chrysler Group’s technology and Guangzhou Automobile Group’s long experience in the Chinese market, GAC Fiat has been growing in the two years since its establishment, and hopes to become an emerging force in the Chinese auto industry. GAC Fiat is building the new world-class manufacturing plant in Changsha, in the Hunan province, set to be among the best in the world in terms of facilities, logistics, management and production systems. At present, the plant construction and facility installation is on schedule, ready for the roll-off of the Viaggio at the end of June 2012. Two years after GAC Fiat’s establishment, 91 dealers and 125 showrooms have opened across the country, although some are carryovers from the last joint venture. After releasing a series of teaser images ten days ago, Fiat has today presented full images of the Viaggio, which will lead out its new stab at Chinese production. The new four-door, five-seat sedan is effectively a Dodge Dart with new front and rear clips, plus some technical changes to cut costs for this market. The Dart is based on the CUSW (Compact US Wide) architecture. The CUSW architecture is, in turn, derived from the C-Evo architecture originally developed for the Alfa Romeo Giulietta, a framework that enables the Italians and the Americans to share technologies and components. 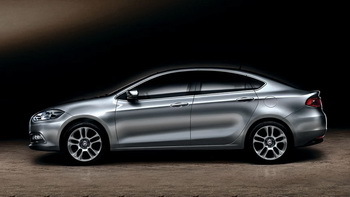 The photos show that Fiat Centro Stile hasn't expended too much effort to differentiate the Viaggio from the Dart. The front sports a new style of grille, as Fiat’s designers take a fresh shot at evolving a family identity (a theme that is reflected on the new Linea facelift), located inside a new bumper. There are new foglights, although the chrome effect surround (standard from the entry-level version) appears to be somewhat out of proportion. The front wings are unchanged, as are the headlights. 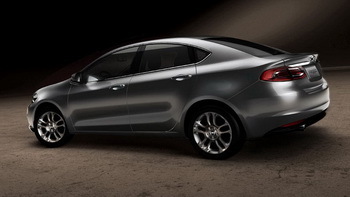 The sides likewise remain untouched, while at the rear, the Dart’s signature full-width tail-light unit is replaced with two separate LED-equipped units that should go some way to tackling the U.S. sedan’s overt domestic-market bias. The registration plate is also moved, to sit in a redesigned bumper. Inside, the cabin is pretty much unchanged from the Dart. Measuring 4,679 mm in length, 1,850 mm in overall width and with a 2,708 mm wheelbase, the Viaggio gets Fiat’s 1.4-litre T-Jet engine in both 120 HP and 150 HP guises, coupled to a 6-speed dual dry clutch transmission or 5-speed manual transmission. 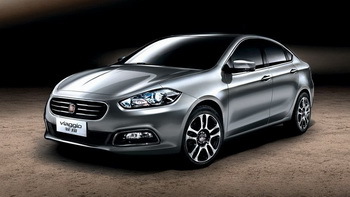 As the first Fiat-Chrysler joint project, the Fiat Viaggio will be produced in the new GAC Fiat production plant in Changsha, in the Hunan province. The new production plants implements World Class Manufacturing standards, a way of working that all Fiat and Chrysler plants worldwide have embraced in order to minimise accidents, defects, stocks and breakdowns.